The WD My Book Duo is a basic desktop-class external hard drive that boasts tons of space. The massive storage is ideal for collection of photos, videos, and music in addition to all other digital files. Its key features include the built-in USB hub with two USB 3.0 ports, hardware RAID and its ability to easily replace the internal drives. WD My Book Duo is shaped like a closed book. It consists of a sleek looking plastic shell with a black matte inlay that runs from the front-bottom to marginally on the right side. The display features the three LED indicators for power and the two status indicators of the two drives and the WD logo. The USB hub is located at the back side, and it connects to mobile phones, tablets and is also used as charging ports and data transfer ports. Still at the back is a Kensington lock slot and the reset button. On the top part is where the My Book Duo opens by easily pressing a button that is located on the chassis and inside are the two bays that are inhabited by the WD Red HDDs. The WD My Book Duo is available in different capacities which include 4TB, 6TB, 8TB, 12TB and 16TB. The measurement size of the device in length is 9.9 by 9.9 by 16.5cm, and it weighs just about 2.2kg. The device supports both Mac OS and Windows XP and later versions of Windows. WD My Book utilizes these soft wares for optimal results WD SmartWare Pro, Acronis True Image, WD Drive Utilities, WD Security and DropBox Cloud integration. WD My Book is among the most capacious backup devices available in the market. The device is preformatted for NTFS with its two drives striped in an RAID0 array. Additionally, the utility software included with the device allows for reconfiguration of the device to RAID1 mirroring or the JBOD. Clearly stated is that for an 8TB drive, RAID0 gives one 8TB drive, JBOD gives two separate 4TB drives, and RAID1 gives one 4TB drive that backups the data in case either of the drives fails. 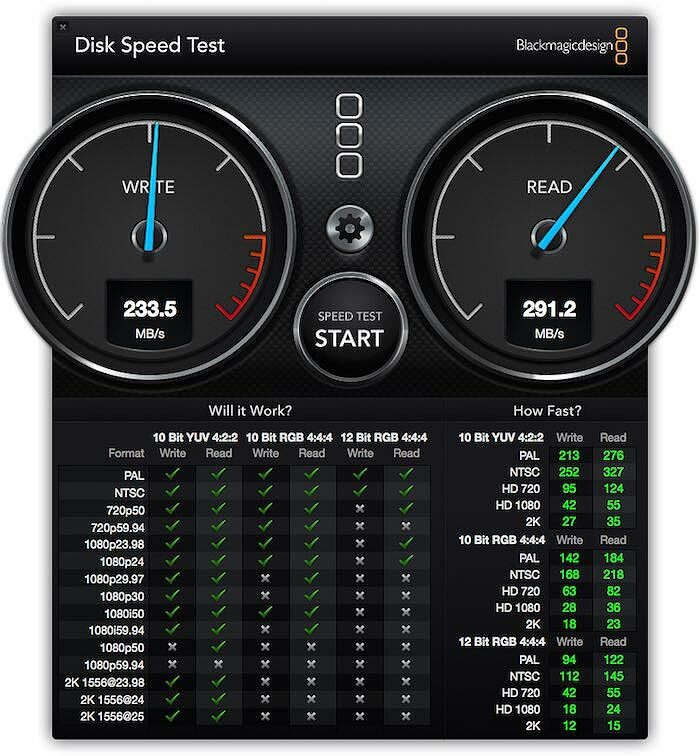 The transfer speed when using both disks active (RAID0) in My Book Duo is 262.5MB/s read and 232.3MB/s write. 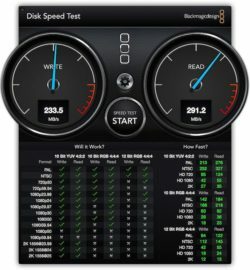 The configuration of using the two separate drives of 4TB each (JBOD) performs at slightly lower speeds at 151.2MB/s for read and 151.6Mb/s for write. When configured as RAID1 the rates are nearly identical at 148MB/s with a slight difference of 0.2MB/s between read and write. Therefore, the My Book Duo performs at the absolute peak when operating in the default RAID0 setting where the two disks are both active and striped together. The best thing about the My Book Duo is the capability to replace the drives when they go wrong. The LED light on the front panel of the device will always blink red when there is a cause for alarm. The software support is also fantastic as it comes with the Windows Backup and Time Machine support that makes it easy to continuously backup all your files. Also, the Acronis True Image software enables the recovery of every piece of data including system files and boot drives. A lot of users on shopping sites like Amazon are pretty amazed by the abilities of the device, and many praise it as a very solid product. It comes in handy as an extra storage space that is easy to install and works on the go. WD My Book Duo drive is fast, flexible, and also offers a reliable solution with its value adding software. Its performance ensures that even heavy media editing tasks are handled comfortably. It is relatively lower priced compared to Thunderbolt drives also makes it a worthy choice when buying as it also has much more capacity. WD My Book Duo drive is fast, flexible, and also offers a reliable solution with its value adding software. Its performance ensures that even heavy media editing tasks are handled comfortably.